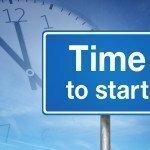 Compliance plan are now mandatory under The Patient Protection and Affordable Care Act (ACA) beginning in 2013 with Skilled Nursing Facilities. While compliance plans for therapy practices are technically still “voluntary”, a practice without a compliance plan is operating in harms way with the additional scrutiny given to outpatient therapy particularly with the initiation of manual medical review by the Recovery Auditors (RACs). An effective and working compliance plan reflects practice commitment to compliance, and may also serve to mitigate damages if the results of a review or investigation are not favorable. This basic course reviews the Office of the Inspector Genereral (OIG) Compliance Guidance for Physicians and Small Practices. 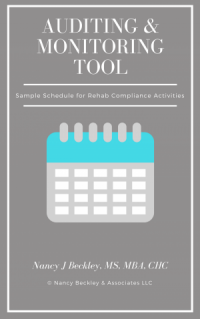 The seven basic elements of compliance are reviewed in detail with guidance for implementation by a physical therapy practice. The goal of the course is to prepare the attendee to develop a compliance plan that is effective, yet scalable to the size of the practice. Attendees will leave the course with the ability to frame a compliance plan and follow a timeline for completion of initial activities. Understand the five FACES of compliance and how they affect therapy practices: False Claims Act, Anti-Kickback Statute, Civil Monetary Penalties, Exclusion Statute and STARK Laws. Learn the requirements for the development of a compliance plan that will meet the requirements of the Affordable Care Act. Understand how to conduct a baseline risk assessment instrumental critical to the development of an effective compliance plan. Learn how to effectively conduct annual compliance training and education. Understand the critical aspects of monitoring and auditing and how essential it is to the foundation of an effective compliance plan. Demonstrate how to respond appropriately to detected offenses, developing corrective action,as well as enforcing disciplinary standards. Single Practice/Company: This is a basic, but essential course can be designed for a half day or full day seminar. The format is lecture, and practical demonstration including workbook facilitation. The course is ideal for annual compliance training for a small practice of 10 of more, and is suited for CEU application. The course will be customized to the practice in order to mazimize the training and educational benefits, and includes follow-up consultation. Association Workshop or Seminar: This course was originally rolled out in 1998 as a result of the compliance plan “voluntary” requirements noted in the Balanced Budget Act of 1997. It is ideally suited for a state conference and/or annual association meeting as a half-day workshop or full day seminar. The course has evolved over the years to incoporate rehab case studies involved examples of fraud and abuse, as well as updated training tools from the Office of the Inspector General.